Dorothea Gundtoft is the author of three international books; Real Nordic Living, New Nordic Design and Fashion Scandinavia, all published by the leading arts & design publisher Thames & Hudson, translated into more than 9 languages including Chinese, and available at international bookstores and cultural destinations such as Palais de Tokyo, MoMa, Louisiana Museum of Modern Art, Hay Stores, Foyles, Waterstones, Amazon, Colette, The Armani Book Store in Milano, and The Strand Book Store New York. 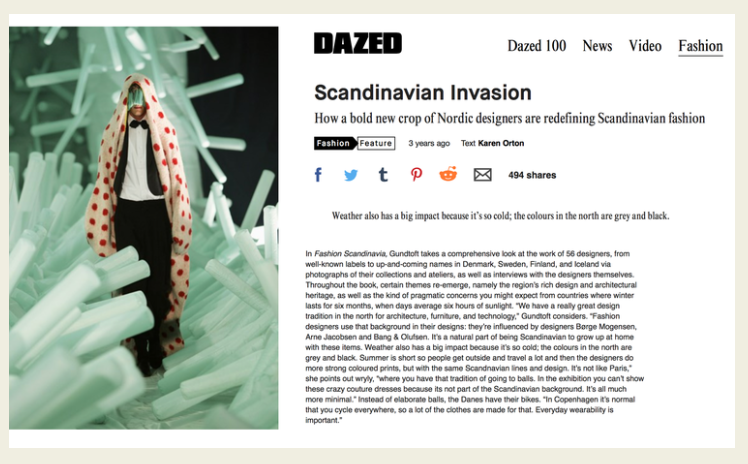 Dorothea Gundtoft has been featured in international magazines such as Vogue, Dazed & Confused, V Magazine & Vman, Style.com, Número and ELLE, and curated the largest Scandinavian fashion exhibition 'Fashion Scandinavia' at Somerset House, opened by legendary Sandra Rhodes, during London Fashion Week 2013. 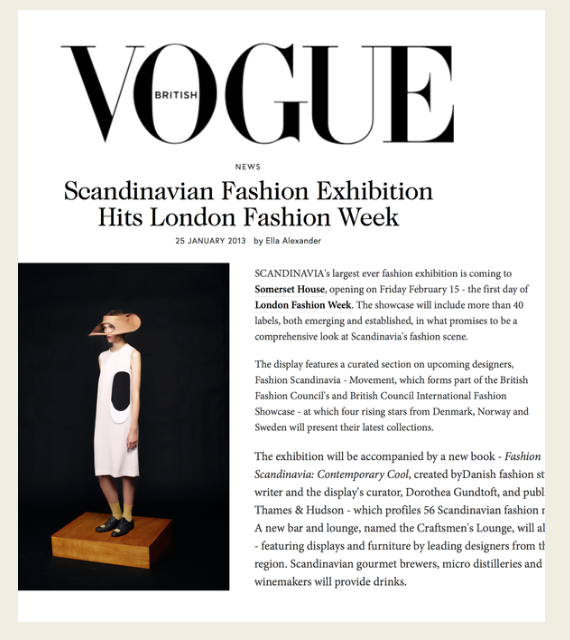 Dorothea has collaborated with The British Fashion Council, The Royal Danish Embassy, The Swedish Export Ministry and The Royal Norwegian Embassy in London, curating the ‘International Fashion Showcase’ of Scandinavian Design talent, judged by a leading panel including Vogue’s Sarah Mower. 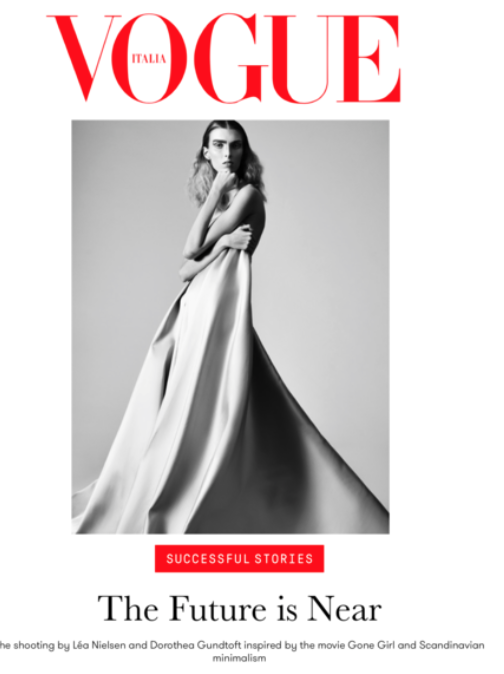 Her work has been presented in TV, radio, and magazines such as; New York Magazine, Harpers Bazaar, Vogue, BBC Live Broadcast, MTV, The Danish National TV, Monocle Radio, Architectural Digest, ELLE Decor, House & Garden, and The Daily Telegraph amongst others. In May 2013 she was awarded the ELLE Style Award, and has been nominated twice again in 2014 and 2015, alongside receiving a 'New Generation Award' nomination by Vogue UK. Dorothea Gundtoft currently manages the lifestyle site ND-WORLD.COM, international commissions and new book projects.